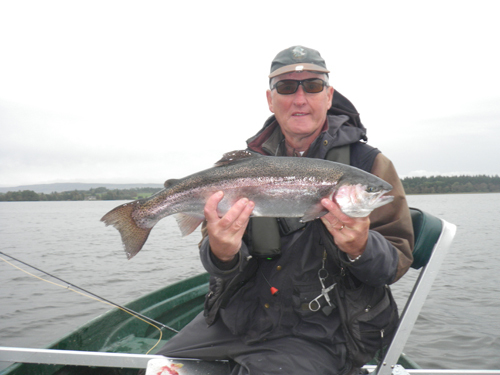 I have been a keen angler for 50 years and an instructor since 1999. In 2008 I decided to go fulltime at coaching and guiding and have never looked back. To be honest I now get a great amount of pleasure from clients catching fish and improving their technique. I have fished all over Scotland, England and have travelled abroad in search of fish as far afield as Alaska. Scotland, though, is my home and fantastic fishing is to be had all year round. I teach every day taking individuals, small and large groups and leading up corporate events. My style is relaxed and uncomplicated which I find helps my clients progress quickly and with a clear understanding. I do a lot of work with children with educational difficulties through councils and private schools. For the last 16 years I have had a weekly fishing article published in two newspapers. This helps me keep up to date with modern trends and methods. All tackle can be provided at no additional cost and I will help you make the correct choice before you buy. Ladies beginners, children and improvers are all most welcome. Copyright (c) 2009 SGAIC Committee. All rights reserved. Design by Free CSS Templates.